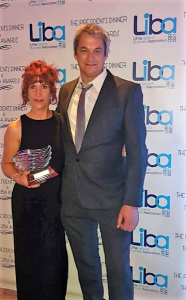 We are Delighted & Proud to Announce the Irish Door Systems were presented with this awarded on behalf of the Business Association which represents over 1000 Companies and 17,750 Employees operating in the area. This prestigious Award recognises the outstanding achievements and ambition of this highly successful business in Little Island. The IDS Team’s continued success will inspire and enhance doing business within this sector.